These buggers are drawn to human breath and sweat, making children running around outdoors the perfect targets. Over time, our bodies begin to desensitize to the bites so kids are more likely to have worse reactions to mosquitos. Risks: At best, mosquito bites are annoying and itchy. At worst, the insects can carry serious diseases such as malaria, West Nile virus and yellow fever. If you suspect any of these, see a doctor immediately. Prevention: There are a variety of repellents available to keep mosquitos at bay. Always avoid DEET-based products on babies under six months old. If you do use DEET, or a repellent containing Picaridin, on your kids, make sure not to spray any on their hands or faces. Treatment: Apply an anti-itch cream to help keep kids from scratching. Remind them that the more they scratch, the itchier the bite will get. Ticks are gross parasites that attach to humans and survive by sucking their blood. They’re most common in heavily wooded areas and places with tall grass. Animals are also often tick carriers. Two of the most common types include wood ticks and deer ticks. Risks: Wood ticks are much larger than deer ticks, but are not as likely to carry harmful diseases. Ticks of all kinds can carry several types of diseases including lyme disease, Babesiosis, Tularemia and Rocky Mountain Spotted Fever. If you or your kids start feeling achy, feverish or develop a rash after a tick bite, see a doctor right away. Prevention: Cover your kids’ legs and ankles with pants and long socks when they’re playing in tall grass and heavily wooded area. DEET-based insect repellents also protect against ticks, but should not be used on babies. A variety of spider bites can be very dangerous. The black widow, brown recluse and hobo spiders are all venomous ones that live in the U.S.
Risks: Black widows’ two-puncture bites release a venom that spreads pain to the victim’s chest, stomach and throughout the entire body in some cases. 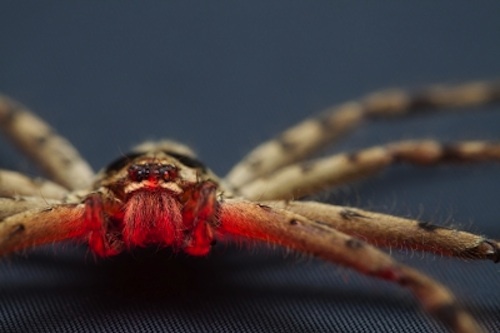 The venom from a brown recluse begins to kill the skin, which is why some refer to it as “flesh-eating.” Hobo spiders’ bites turn into slow-healing wounds over time. Head directly to the doctor’s office if you spot any of these symptoms. Prevention: Spiders love to hide in quiet, undisturbed areas in both the woods and even in homes. Teach your children to avoid spiders and if you find them living in your house, call an exterminator to treat the area.